One can achieve great results through this low impact and fat burning exercise while also improving your balance and coordination. The workout consists of moves from many different workout activities and also incorporates some moves that can only be done on a trampoline. It’s a full body workout that allows you to jump, fly, and spin while strengthening your core, toning your muscles and burning calories. The main muscles that are worked out are your calf, thigh and abdomen. Upper body muscles are worked when there is a combination of movements while defying gravity. Studies show that 60 Minutes of jumping on a trampoline burns over 1,000 calories. Working out on a Trampoline for 10 Mins = 30 Minutes of Jogging. Because jumping on the trampoline incorporates all muscle groups your calorie burn is much higher. When we alter the exercises with (HIIT) High Intensity Interval Training we not only spike caloric burn during the 60 min fitness class, but this type of training boosts your metabolism so that you are burning more calories for up to 48 hours after the class (after burn). Jumping up and down on a Trampoline is a low-impact exercise that engages and builds all of your lower body muscles, you will build muscles through Trampoline jumping, helping your thighs appear thinner and shapelier as muscles is more compact than fat. It is the better approach to keep your body fit as a fiddle while having a fabulous time. 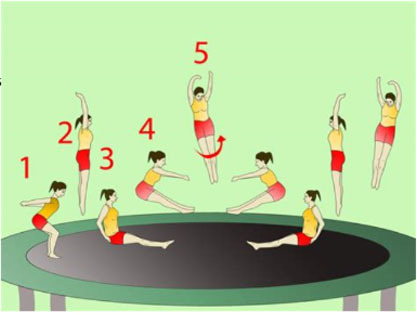 We understand trampoline plays a major part in jumping fitness classes. 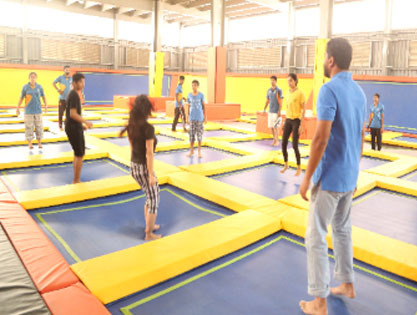 In jumping fitness classes, using a trampoline with handlebar, our trained instructors will teach you fun work outs that designed to help you burn calories while thoroughly exercising the entire body. Trampoline is one of the best things you can do to help your hips. 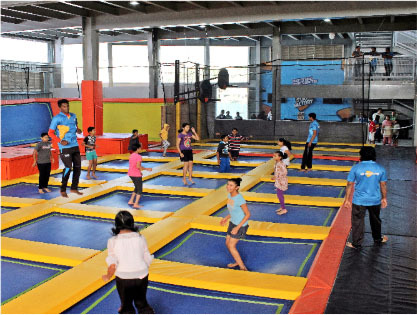 Trampoline helps maintain range of motion and strengthens the muscles that support your hips. Stretching the muscles and tendons that surround the joint also can help ease pain from some hip problems and reduce the risk of some injuries. 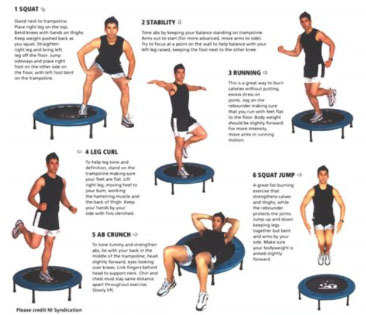 Trampoline exercises can help reduce your stress level and relieve you of your worries. Bouncing on a trampoline causes the human brain to release excessive amount of endorphins. The endorphins secreted by the brain help combat problems like stress, anxiety, depression etc. Regular exercising on a trampoline will help you to relax. It improves your existing sleeping patterns. Better sleep patterns make you more energetic, alert and fast. 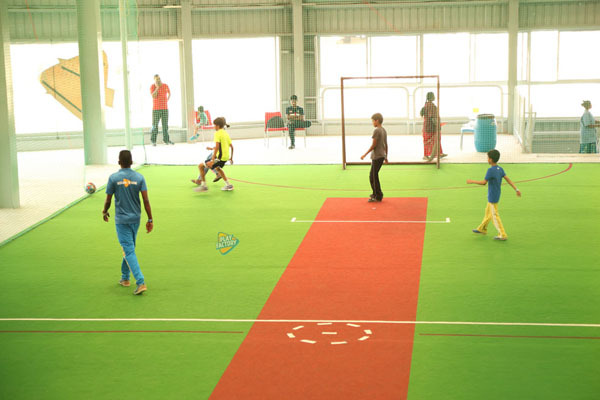 Most of the Legends in cricket all of them started with the Indoor Format to the Bigger Field. One of the best is Micheal Clark - Former Australian Player. 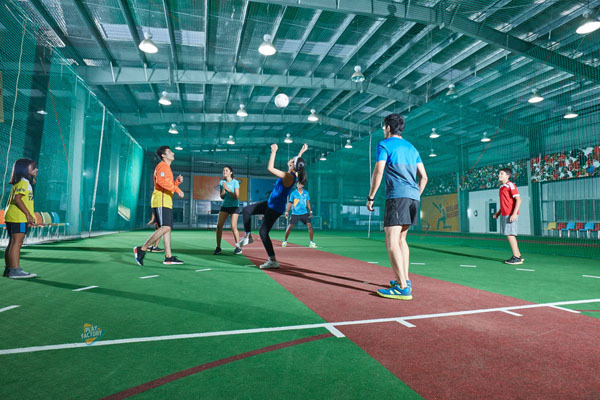 For the age group starting from 7 years and We do have Corporate Team Coaching by our In house Sports Experts. 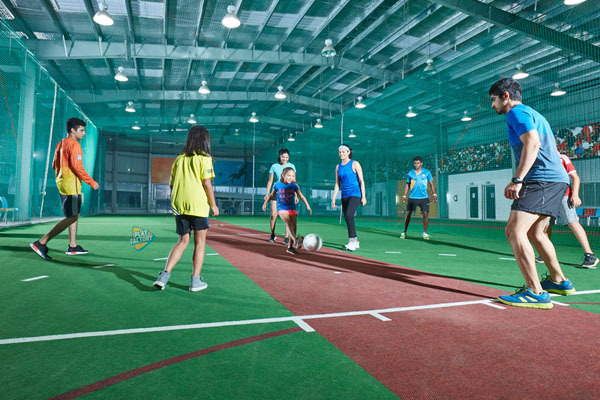 Play Factory TECHNICAL SKILLS TACTICAL SKILLS PHYSICAL SKILLS PHYSIOLOGICAL SKILLS Team skills Social skills such as cooperation, communication and learning how to cope with winning and losing Social interaction – it’s a great way to meet new people and make new friends. 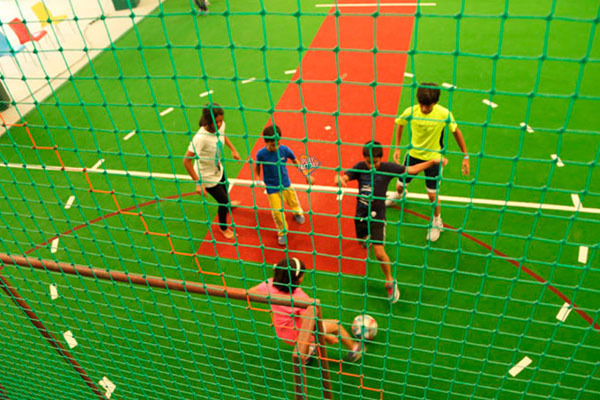 Our objective is to create an atmosphere of fun, team spirit, relationship, equality (playing time, opportunity) and competitiveness where children can grow into better players. Emphasis is laid on using both feet and all parts of the foot. 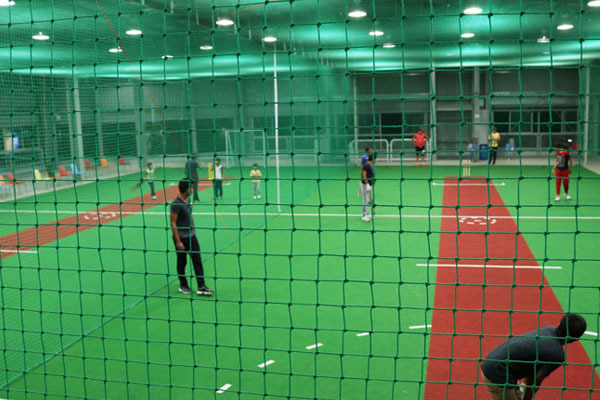 Each technical exercise focuses on a specific skill (Ball control, dribbling, passing, receiving, shooting, heading) and to to improve the player’s decision making abilities. Once we teach them how to do a certain move or technique, emphasis is on when and where? It is all about making the correct decision in a split second and that is why we use repetition because players get better at making decisions when they are familiar with the moves. A competitive environment is necessary to improve. Often exercises are based on time or points. Sometimes players compete with each other and at times with themselves trying to beat what they have achieved in the past. We like our teams to play open, creative, attacking football with emphasis on ball possession and opportunities for players to express themselves.